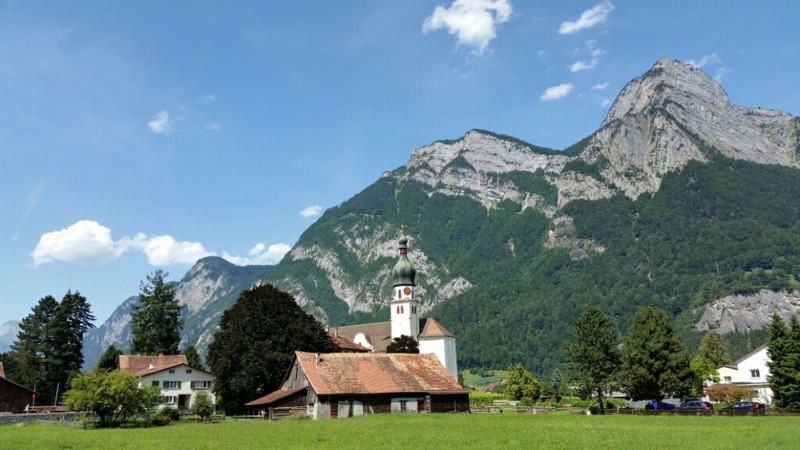 After not enough sleep we were back on the train in the morning to Sargans on the east side of Switzerland. 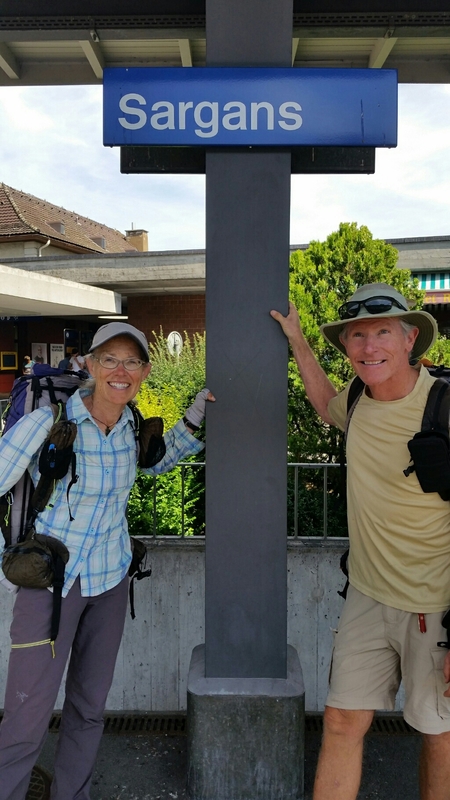 We got off the train and walked to 2 outdoor shops trying to find a new trekking pole tip for me. No luck. We bought some food and started walking. First impressions are that we are going to walk thru lots of cute villages / settlements and working farms. 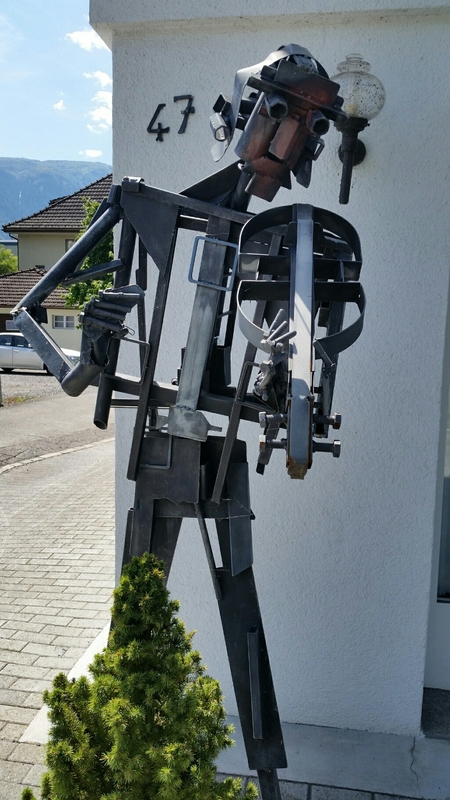 Sargans…. we started here. 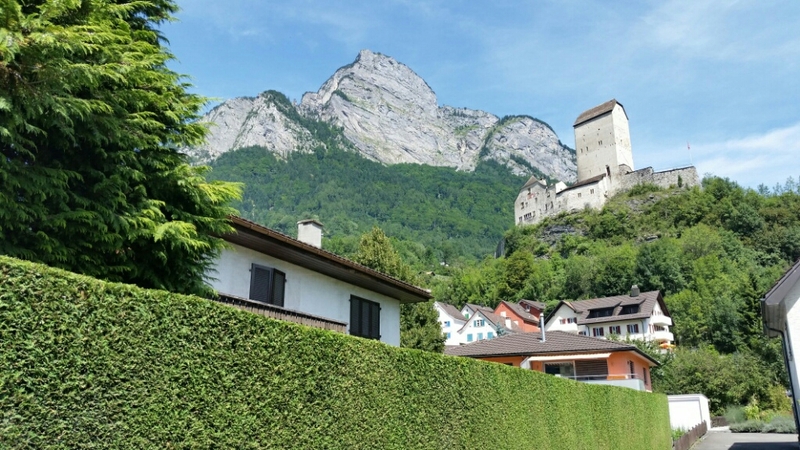 There’s a castle. Vermol…. a few farms. 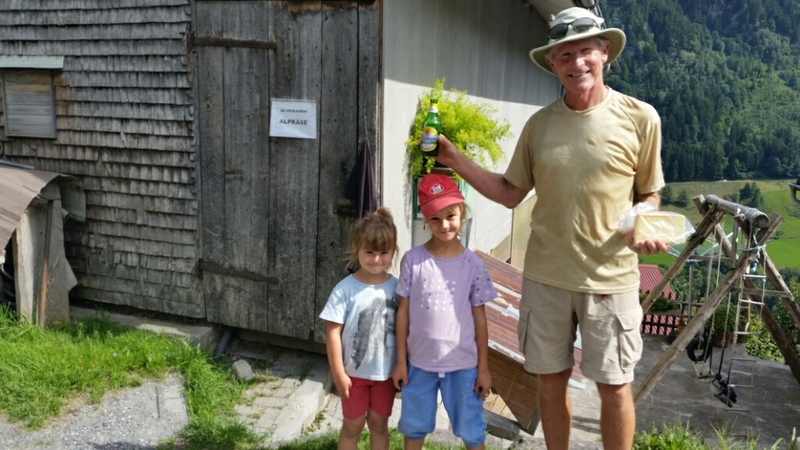 We bought cheese 500 grams for 4CHF and they threw in a beer for Jim. 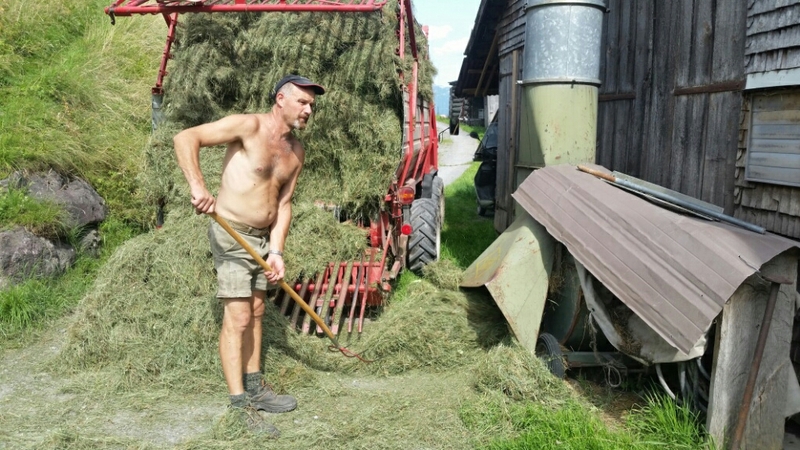 Loading hay into the barn. Schwendi… small grocery store. Prices are way higher than France and Spain. 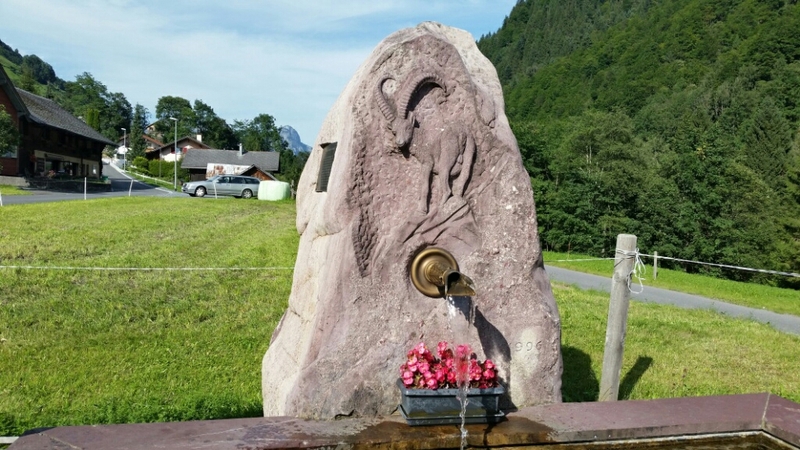 That is a Steinbeck (ibex) carved into the water fountain. We are hoping to see a real one. 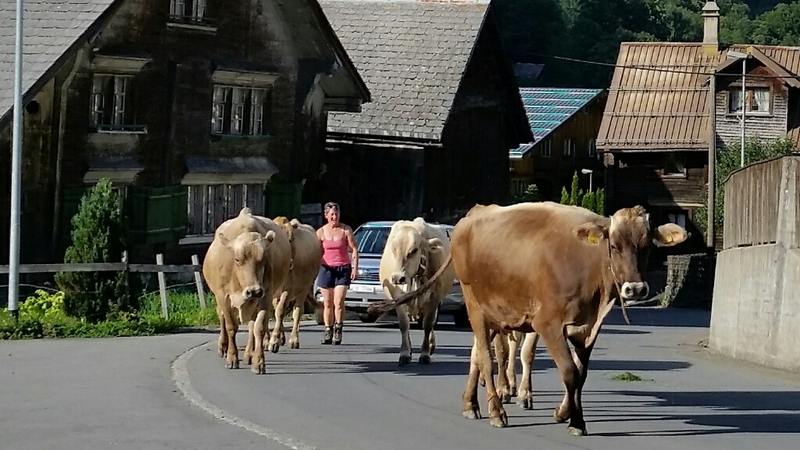 Weisstannen… cows were being herded thru town. It had the cleanest public toilet I have ever seen. We asked about camping. It seems camping is not going to work near towns. 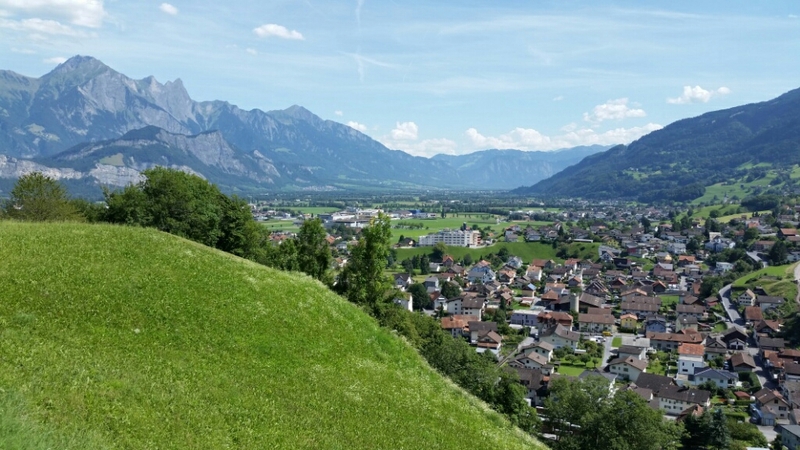 Alp Vorsiez… it’s a dairy. They make cow and goat cheese plus yogurt. There is a dormitory but it was closed. We asked about camping and were pointed across the creek. That wasn’t flat and was trampled by cows. We went back to Alp Vorsiez and it started to rain. Suddenly the dormitory was open to us. It’s thunder, lightening and raining outside and we are inside. We have no idea how much it is costing us. But we are where we want to be. We are figuring out how to best use the guidebook and what signs to look for. We are hoping for much easier navigation than the HRP. The green and blue square with a 1 is for the Via Alpina 1. Direction of villages is shown with times or kilometers. 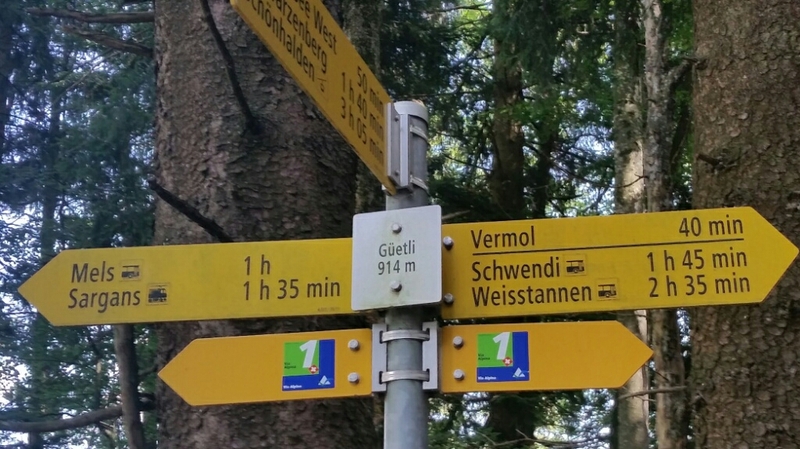 The white square is where the sign is. 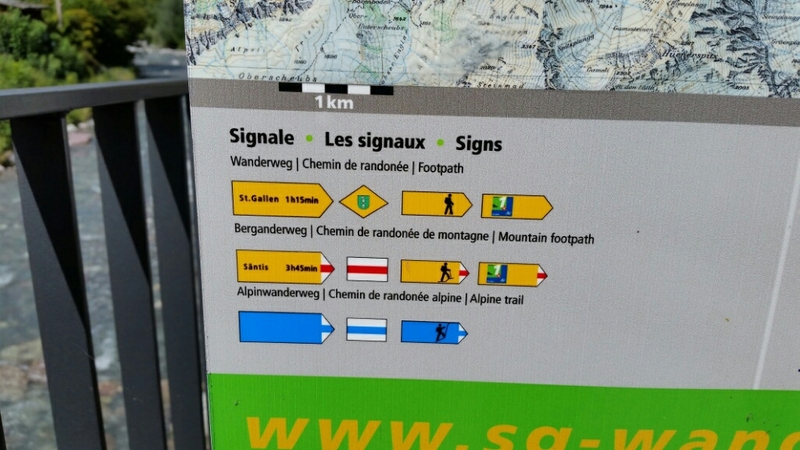 We will be on wanderwegs marked with yellow paint and berganderwegs marked with white and red paint. There are garbage cans on this trail and not just in towns. Nice signage! And trash cans! Hope you got great sleep in your dorm. 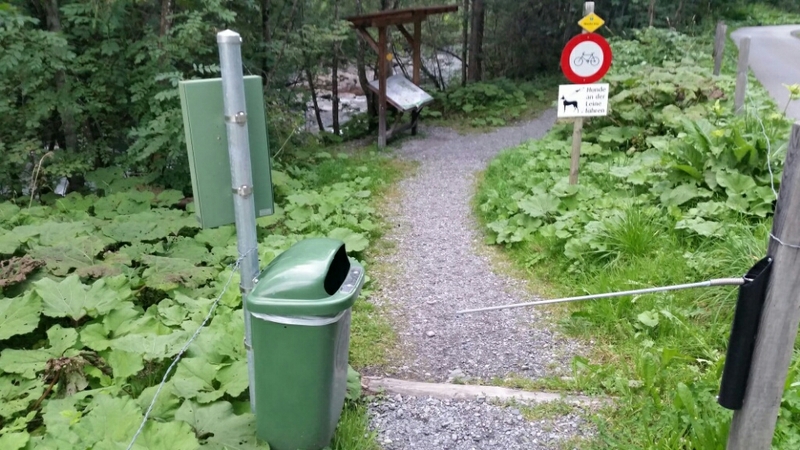 Trash cans on trail, wow!